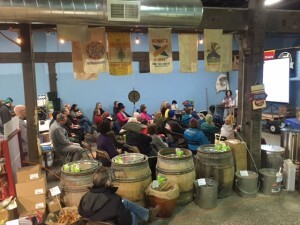 To recap the January 6th meeting we were back at our usual location at Alberta Abbey – and will be again on Wednesday, March 2nd from 7-9pm. Two members, Christopher Wilson and Dan Brown, shared their “bee-ginnings” with beekeeping in the PUB Spotlight. Each month we select, at random, 2-3 members to share a little bit about themselves so we can all get to know each other. Glen Andresen gave his monthly Pollen & Nectar report. Even though it’s January and freezing cold, there are still some things in bloom. Plants such as winter jasmin, broccoli, Oregon grape, and several others. Check out bridgetownbees.com for Glen’s monthly “What’s in bloom” report. 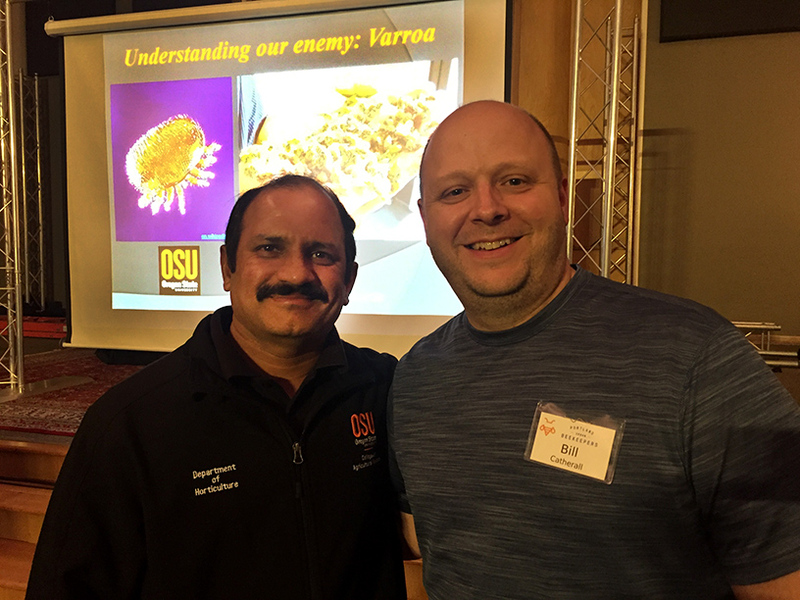 Our February meeting featured Dr. Ramesh Sagili from the Department of Horticulture at Oregon State University. 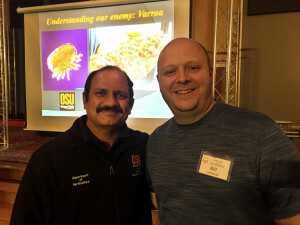 Dr. Sagili spoke in depth on the deadly varroa mite, the largest parasite of the European honey bee in North America. Dr. Sagili identified several methods to detect a mite infestation as well as several ways to treat them. It is critical for all beekeepers to stop the varroa mite in its tracks so check your hives thoroughly and often. Thanks to Dr. Sagili for sharing this information with us. 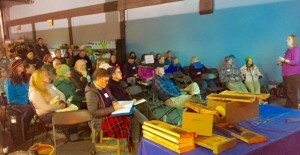 Our February 6th Bee School was a huge hit and encompassed information to help brand new beekeepers get started. 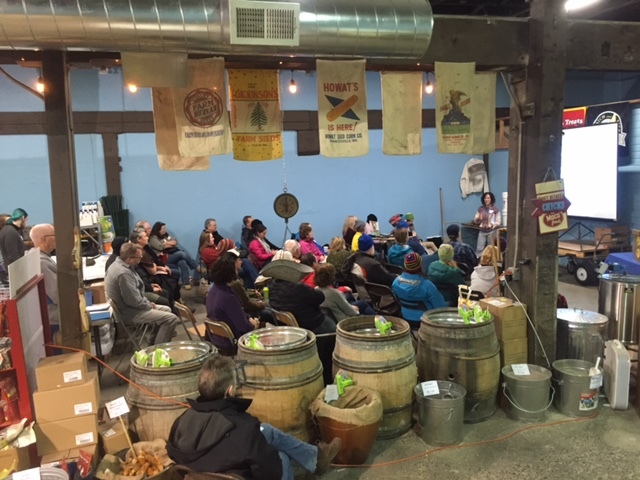 Huge thanks to all the presenters and the Urban Farm Store for hosting. Below are a few pics from the Bee School.